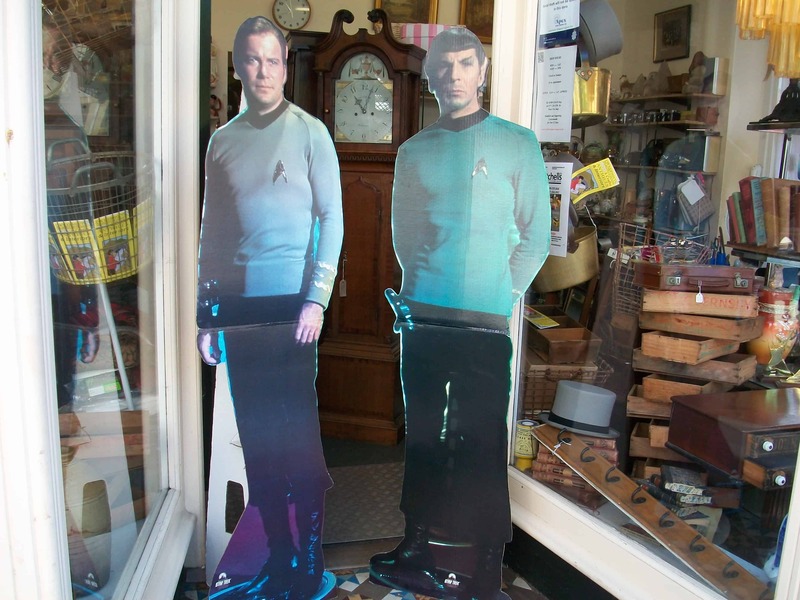 Heres 2 characters that turn up in the shop Capt J T Kirk and Spock 1st Science Officer of the USS Enterprise they sort of beam in and after a good old fashion cup of tea beam out nice to see them? I suppose they,ve got time on there hands !! Just to keep the profile here another great picture of 2 Great Stars ? 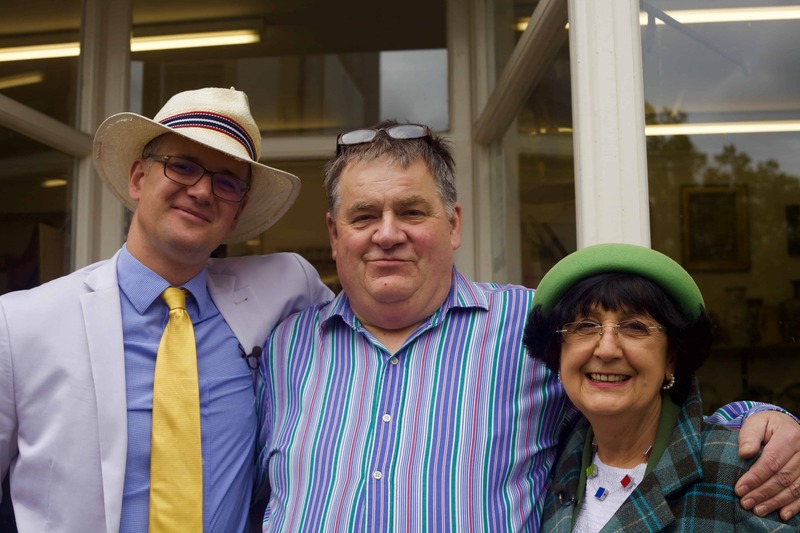 A Great day with some of the Antiques Road Trip People , you can view this program now on You Tube it is Series 16 ,Episode 8 ,Show on BBC1 of the Antiques Road trip (was show on the 10th January 2018) well worth viewing . Thats me in the Middle ! Hi love this or hate it but its one hell of a advert and well worth doing already ive had people from London ,Cornwall, Scotland, North East and many other places saying it was you on TV ? so it does work for you . 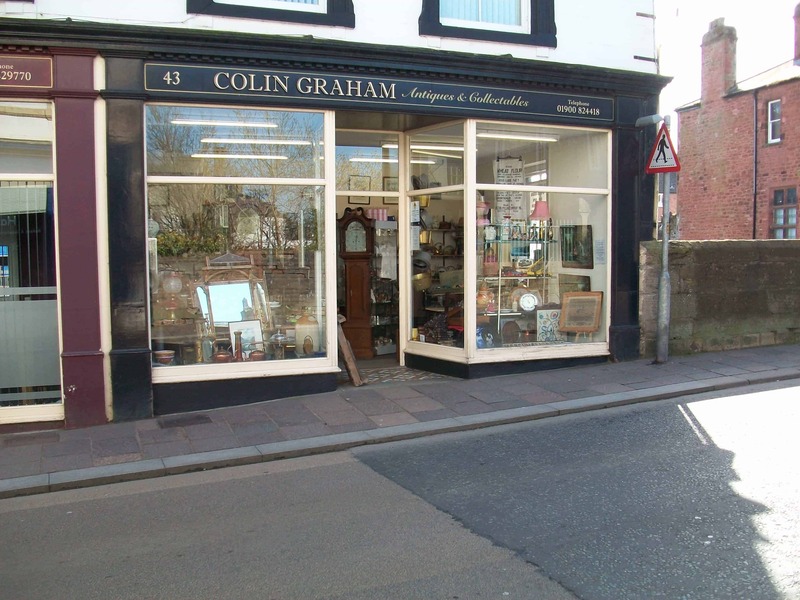 Colin Graham Antiques Shop 43 Market Place Cockermouth CA139NF establish some 30years ago and still going strong even with foot and mouth, 2 floods and everthing in between ,but we are still here trading buying & selling the unusual. 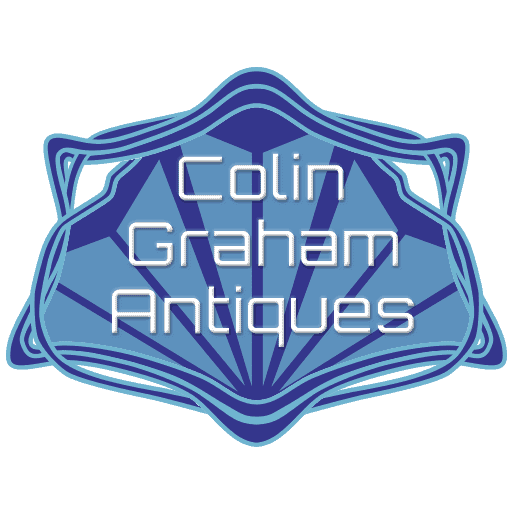 Lots to see in the shop from, china/glass/clocks/books/furniture/postcards/coins/military/bayonets/uniforms/hats/helmets/furniture/paperwork/ brass/copper ware old and lots lots more. This is All New to Me !! 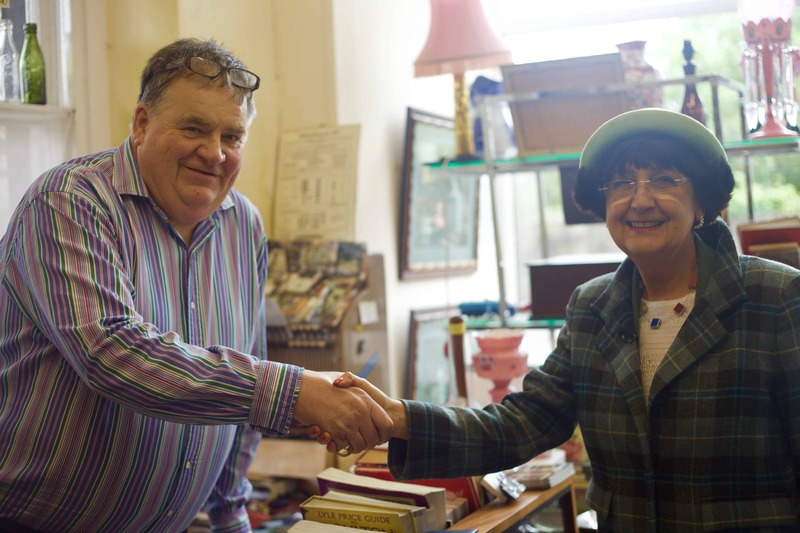 Antiques and Collectables in Cockermouth . 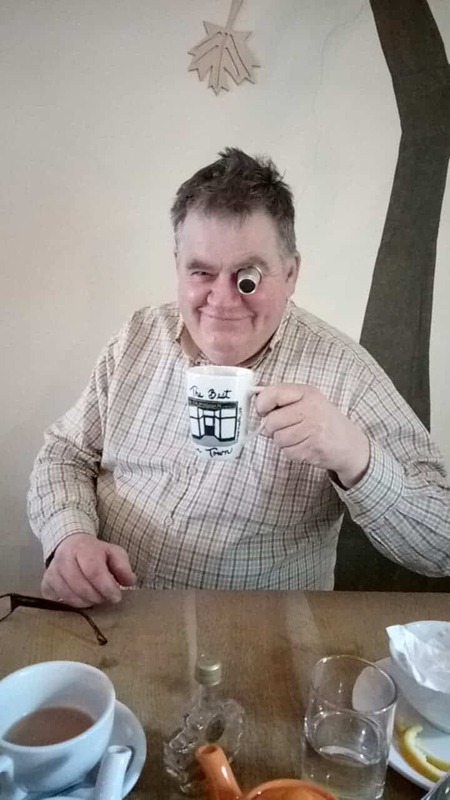 I am Cockermouths only independent Antique Dealer located at 43 market Place ,Open daily 10-5 six days a week or by appointment Tel 01900 824418 shop or 0771 220 6786 Mob ,never far away! 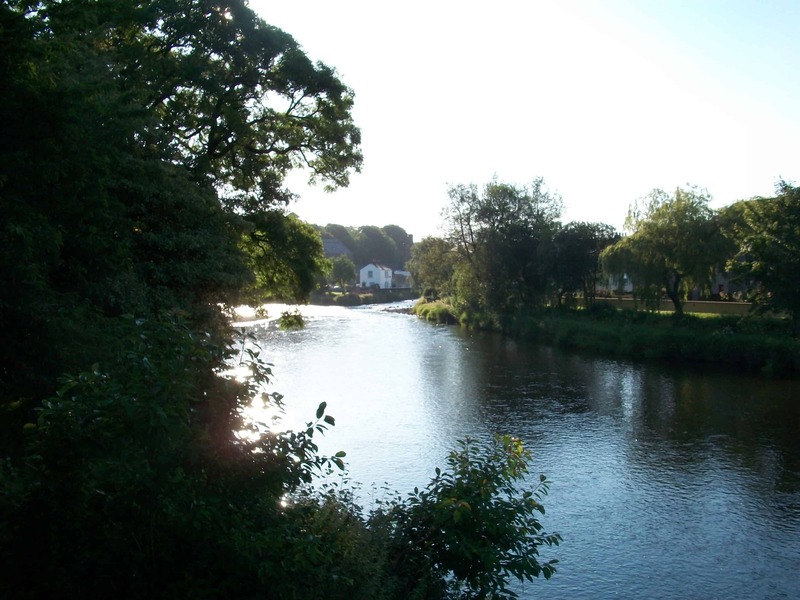 Establish and Supporting Cockermouth for over 30 Years.